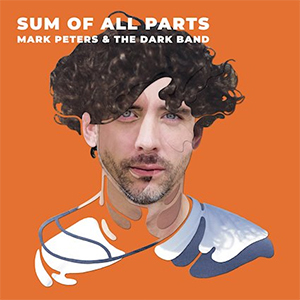 Mark Peters is an original voice in the world of indie folk, drawing comparisons to artists like Nick Drake and Iron and Wine but with an execution that is distinctly his own. A Londoner since birth, Peters assembled The Dark Band and has been recording in Vienna, recently releasing his new EP Sum Of All Parts, a follow up to 2017’s Spirits. There’s a greater feeling here that the four songs are the result of a band working together, even if it’s illusory in the sense of Paul McCartney and Wings, and it sounds like a more collaborative effort polishing Peters’ unique style. Although Peters only teasingly grants his audience a further four songs to his catalog, there is a remarkable amount of depth for one to get endlessly lost in his compositions. From the rootsy soul of the title track, with its impassioned crescendos to the jazzy, light as a feather “Failure Is My Friend,” there isn’t a single weak moment here. There’s a nervy, emotionally intense drive behind “Bone Dry” and “Highs and Lows” ends the EP with more of an open ended question than a conclusion, providing some expectations for Peters’ next release. Sum Of All Parts, however, should leave fans more than satiated until Mark Peters, with or without The Dark Band, enters the studio again.